EDGEWATER, Florida and ORLANDO, Florida – SeaWorld's animal rescue team traveled from Orlando to Three Sisters Island, in Volusia County, Florida, yesterday afternoon to rescue a stranded newborn dolphin calf. Weighing slightly less than 35 pounds, the male calf was found stranded in shallow waters under a mangrove. 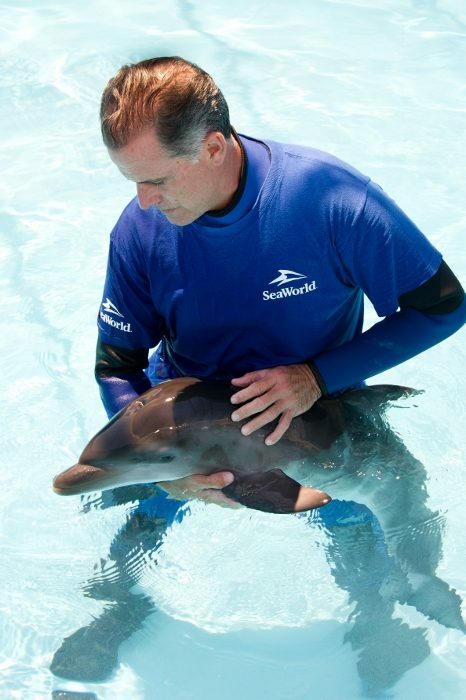 SeaWorld’s animal care experts believe the dolphin is no more than five days old due to its size, the upright stature of its dorsal fin and the attached umbilical cord at the time of rescue. 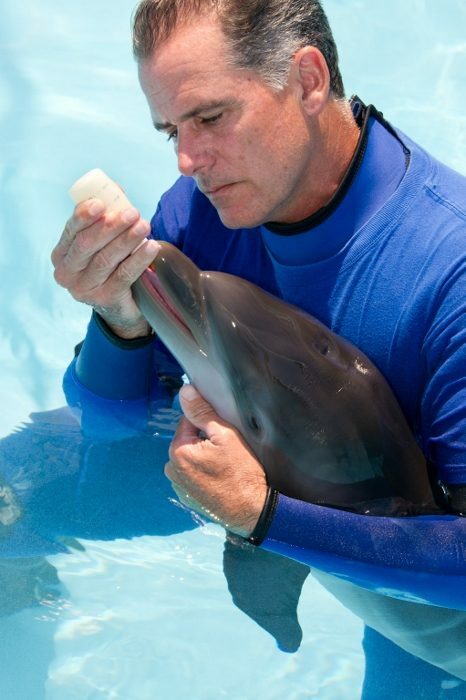 Preliminary tests have showed no major health issues but to ensure the young animal gets the essential nutrients he needs, SeaWorld’s animal team has been manually tube-feeding the dolphin every two hours. Dolphin calves typically nurse from their mother until they are 12 to 18 months old. The youngster was probably separated from his mother before becoming stranded. Sea World says that the successful rescue was made possible by a collaborative effort: the Hubbs-SeaWorld Research Institute initially checked on the state of the young calf, and SeaWorld was able to rescue it shortly after – following authorization by NOAA Fisheries Service. SeaWorld's animal rescue team is on call 24/7 to save and care for injured, orphaned or ill animals. This is the first bottlenose dolphin to be rescued this year.